I love a good knock off project. I have a whole board on Pinterest devoted to projects that I think I could DIY. It’s called “DIY – Products to Try Making Myself“. Okay, not a super creative title, but you get the idea. Most of them I will never attempt. But every once in a while I see something that I really love. Something that I really want to try making for myself. 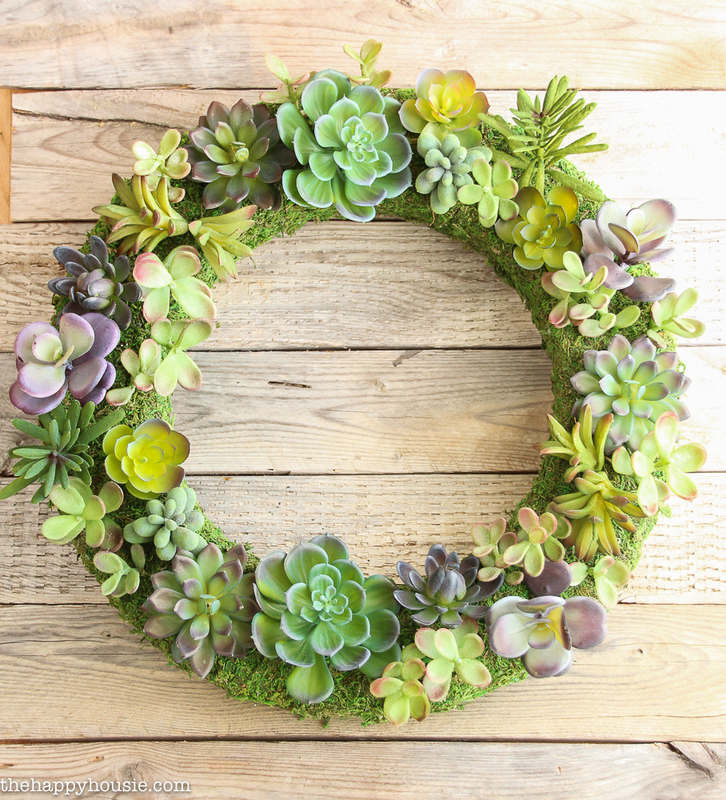 And this Pottery Barn Knock Off Faux Succulent Wreath is one of those projects. The second I saw this sweet little wreath on the PB website I knew I wanted one. But $99?!?! Whaaaaa?! As if. Maybe half that? Yes, ok. I can do that. So I whipped up this knock off for about half the price of the original. 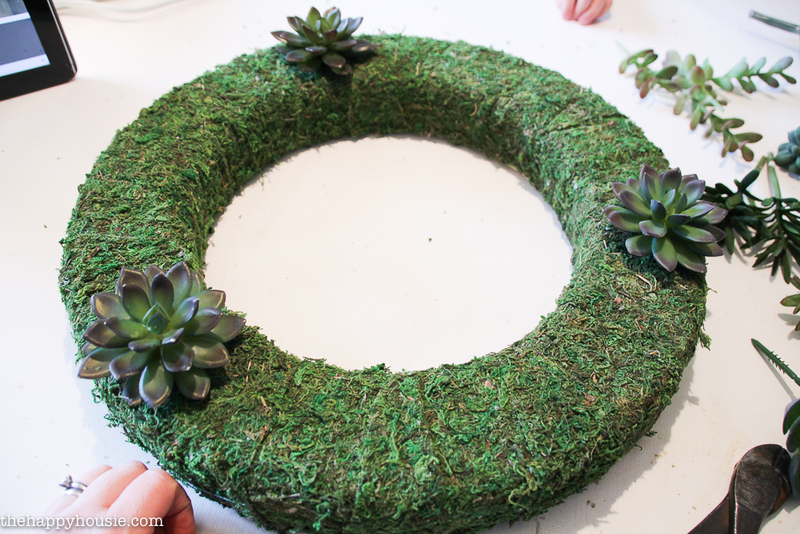 To make this PB Knock Off Faux Succulent Wreath, I started with a 16″ foam wreath form from FloraCraft® Make It: Fun® Foam, as well as a sheet of moss, and some Reindeer Moss to fill in the gaps (I didn’t actually end up needing it). 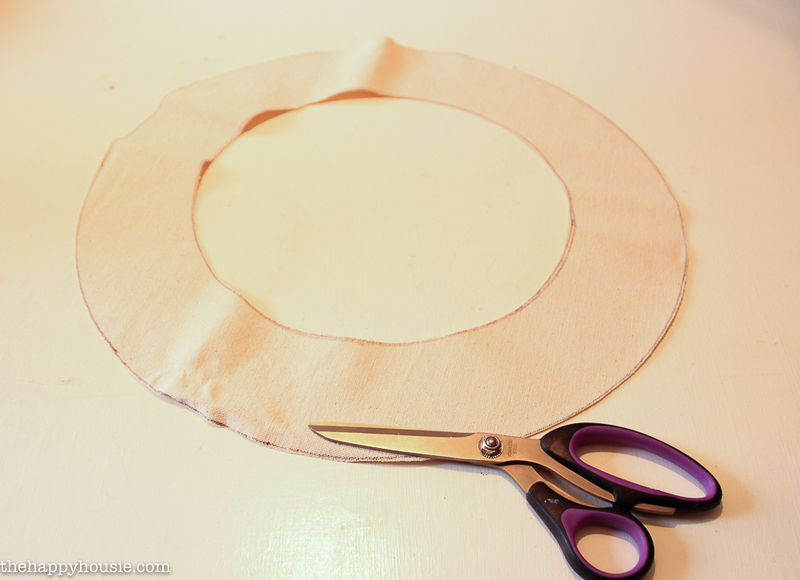 I also used my scissors and hot glue gun, and later my wire cutters. 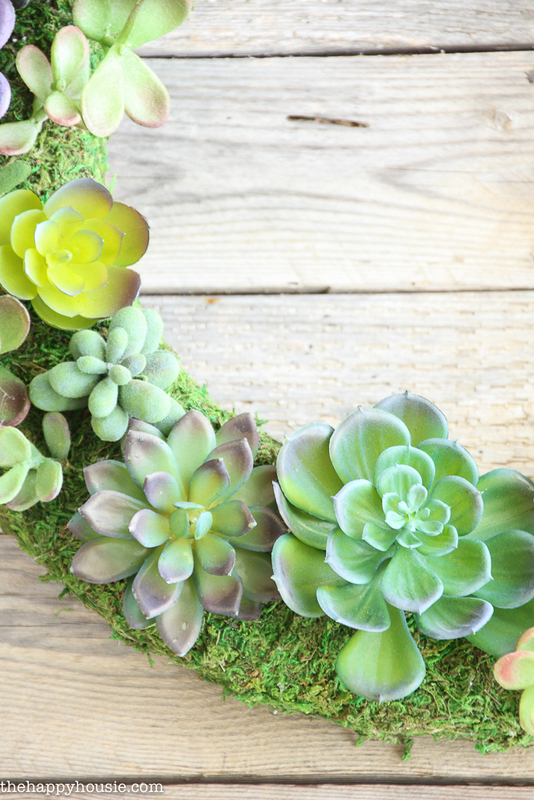 I also used several of the succulent picks from Make it Fun Crafts. 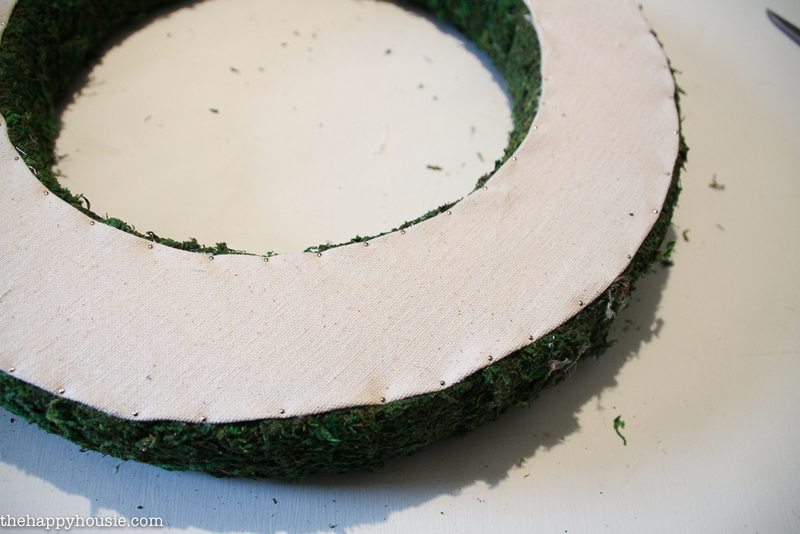 I started by cutting my sheet of moss into strips and using my hot glue gun to attach it around the front and two sides of my wreath form. The strips overlapped slightly in some spots, but the coverage was excellent and I was giddy about how fab it looked even once it was just covered in moss. At this point I literally could not wait to get those succulents attached! But I had to wait a little bit. I didn’t want to use up my beautiful sheet moss on the back so I had left it primarily bare. Now time of the fun! I laid them all out and grouped them by size and type. I ended up using about 6 large pics and maybe 10-12 small pics. I divided up some of them into pieces too and cut them up a little and spread them out. 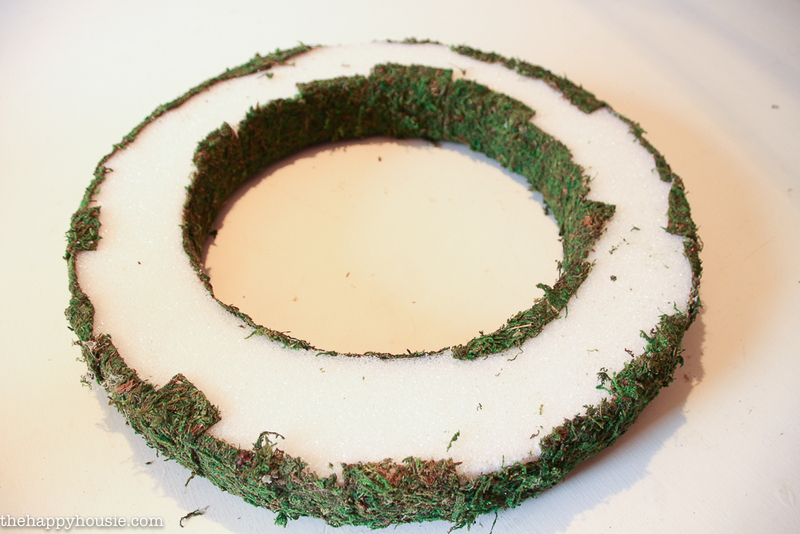 Since they were longer then the actual wreath form was deep, I trimmed off the ends with my wire cutters. 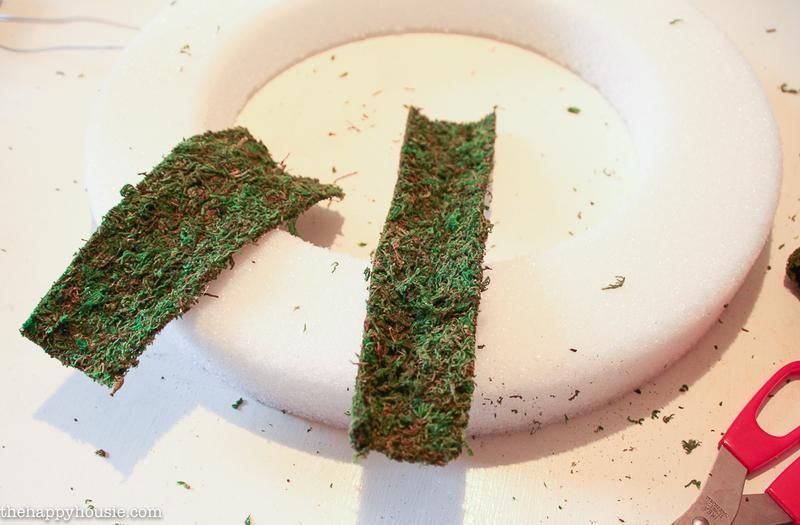 I just pushed the wire ends of the pics through the moss and into the foam form and it held them perfectly in place. I started with my three favourite big hens & chicks picks, and spaced them out somewhat evenly around the wreath form. I love how it turned out… the succulent picks are so pretty and life like. I think it might be about my favourite DIY wreath. EVA. 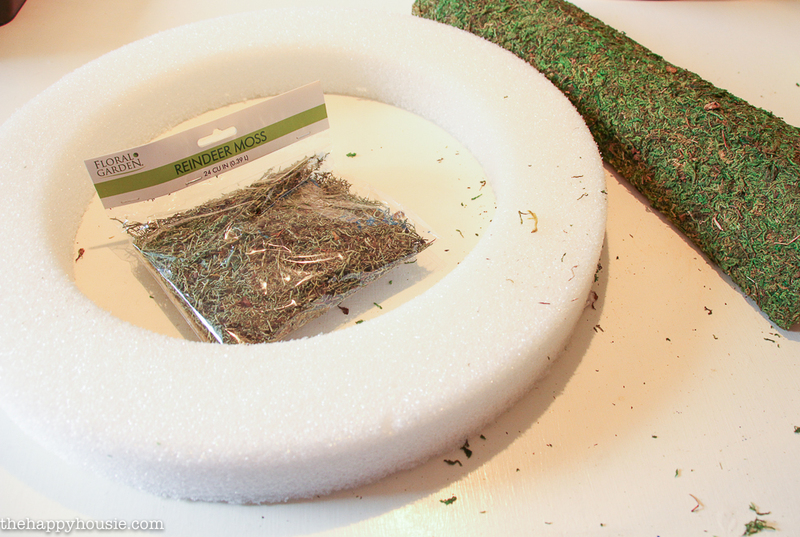 I recommend that to keep costs down you keep your eye out for sales at your favourite craft store on their Make it Fun Craft floral picks, and then use your 40% off coupon for the wreath form and/or the moss mat. If you do these things you will be able to come in at under half of what Pottery Barn wants for their verision! Do you think you might want to try this Pottery Barn Knock off? Disclosure: I am a member of the FloraCraft Make it Fun Team for this year and that means I get to collaborate with FloraCraft on a fun crafty project featuring one or more of their products each and every month! All opinions and ideas are 100% my own. Krista, I just love your wreath!! What type of drop of cloth did you use? I’ve been trying to find something to cover the back of my wreaths. This wreath looks beautiful, I love it even more then pottery barns. I will be featuring this at Merry Monday in my Get Crafty post. See you at the party. Hi Krista! 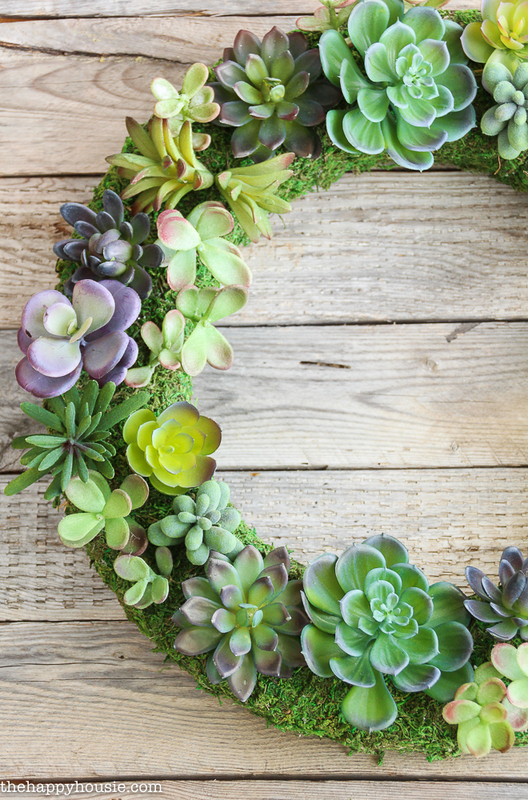 I love your copy of the PB succulent wreath. I got obsessed last year with succulents on top of pumpkins for Fall. 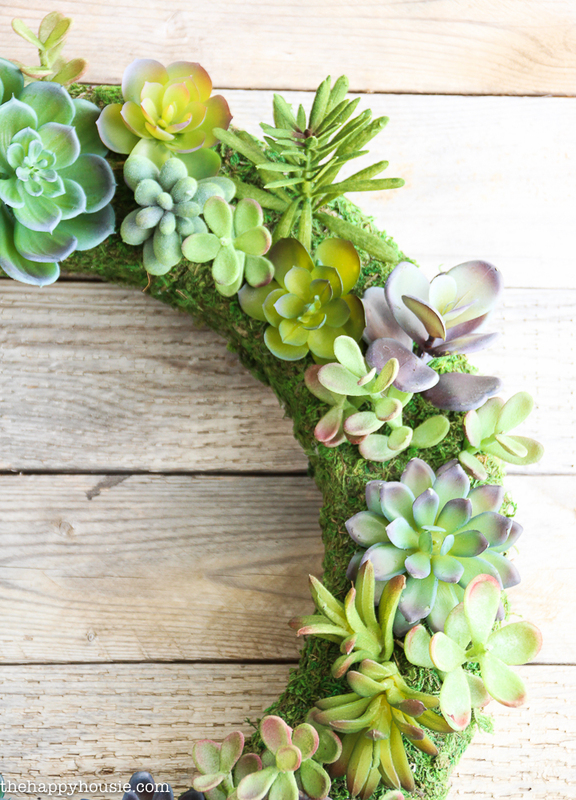 I used fake succulents (found a lot on sale at Michael’s end of summer …even the ones on sheets like you said) so I have some on hand to try to use in a wreath like you gave us good instructions for. 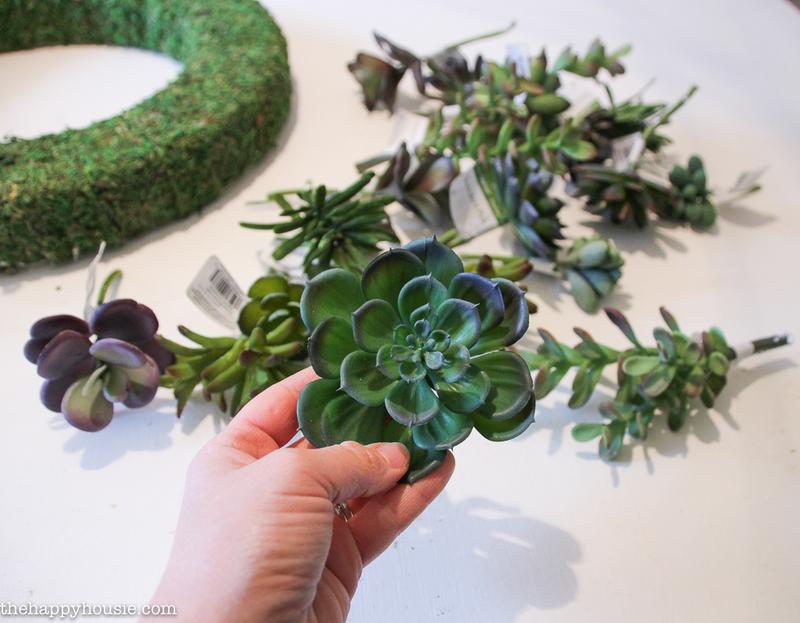 Some of the ones I found on sale seem to be an odd color…have you ever tried painting the fake succulents? I saw your post over at “Home and Garden” blog party. Hi! No, I haven’t tried painting them, but I agree that some of them are an odd colour… if you have a whole sheet, then why not give it a go. I think if you aren’t going to be touching them after (so the paint won’t scratch off) then it could work! Some of mine were quite orange and red, as well, but I saved those for a different project. I still have a bunch and need to come up with some other projects for them, I think! Impressively done – it really looks like something you’d find in a store. So pretty and I agree, this would work as year round decor!! That wreath is adorable! Love that. I found succulent picks at Dollar Tree. I bought every one they had because they cost about $5 a piece at Craft stores and I was afraid they’d soon be gone. Not sure what I planned to do with them but liked how they looked for just a dollar. So now I have enough to make a wreath! What a great find!! So jealous! I just bought some more in a “sheet” on sale at Michael’s that I plan to disassemble and re-use. That option made them a little more affordable as well. Good luck with your project! Krista, you are so clever and very talented lady. 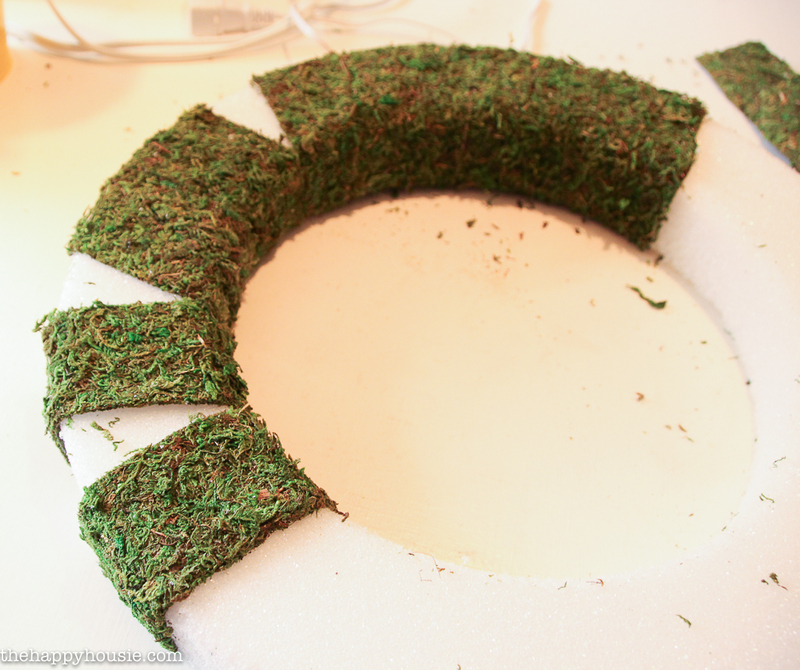 Love that you figured out how to make wreath as pretty or better for less than half the expensive wreath. So there PB. Love it when clever lady like you makes something to deprive fancy store way too much money. To me it’s a fun challenge, looks like challenge for you also. Wish faux succulents weren’t so doggoned expensive. 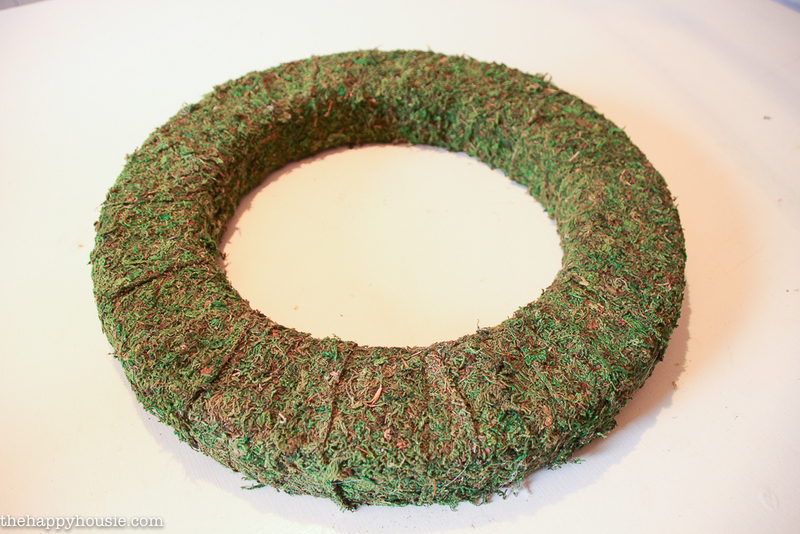 I keep my eye out at thrift stores for wreaths to use instead of having to buy foam wreaths, bit pricey. As you mentioned always keep my eye out when wreaths on sale or at thrift stores and the faux succulents. Your wreath is awesome. Your wreath is great!! I think it looks even better than PB’s! Found you through link party! Oh my goodness, I love this soooo much and it looks simple to make! Yours looks just as good as the more expensive model! Great job. Thanks for a detailed tutorial. Beautiful! 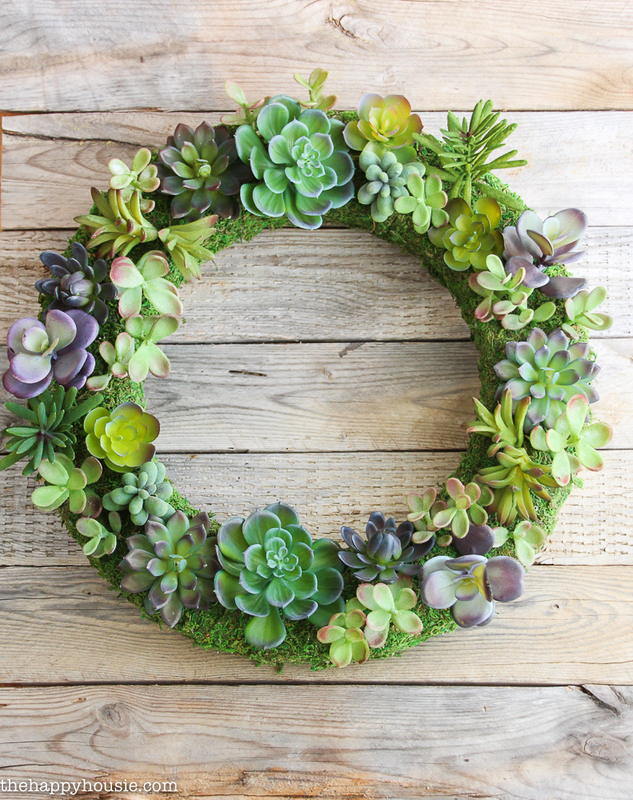 My sister bought me a live succulent wreath like this but parts of it diet and it ended up not looking great. I think the faux version looks very realistic. Hey! Love this! I already have a wire wreath. Could this be made with that? Hi Brooke – I’m not sure how you would do it with a wire wreath form – you could try? 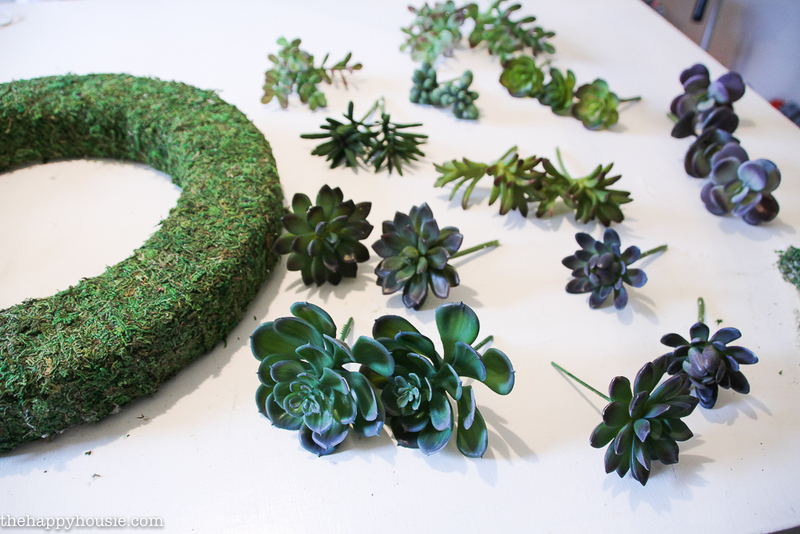 The reason all the succulents stuck in so simply was that I could just poke them into the foam wreath form. 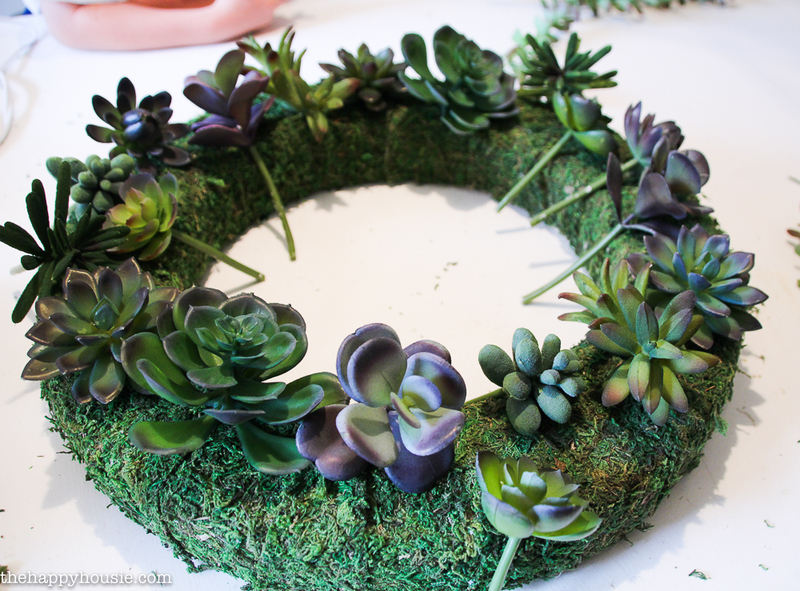 You might have to wrap the wire in succulents first and then add moss around them to cover the gaps?? Best of luck! Love this wreath. It could be used at anytime of the year so it’s not restricted to one holiday or season. That means I could enjoy it for a long time, or until I fall in love with something new. This is adorable. 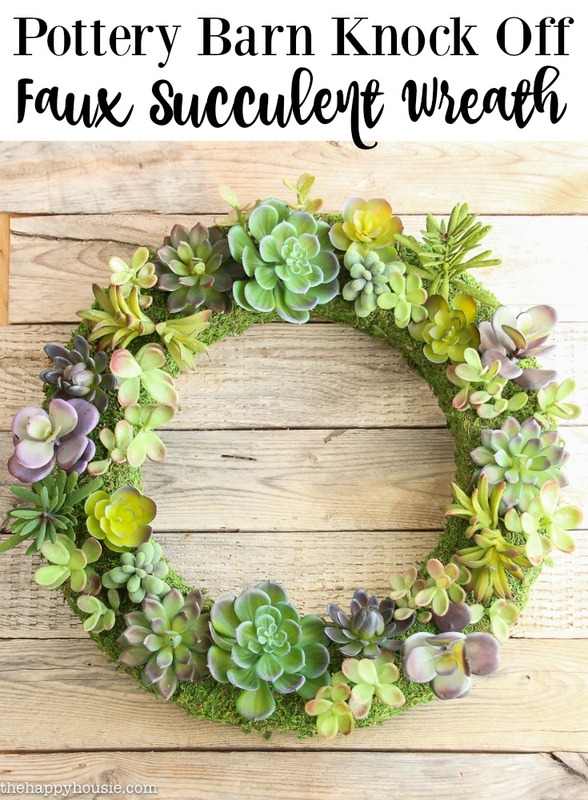 Just gotta find me some Faux succulents and I’m going to be making one !.